Campaigners trying to save what is believed to be John Bancroft’s last surviving building have accused a local authority of rushing plans to demolish it. Grade II-listed Elliott School in Putney, south London, missed out on a ￡40 million upgrade by Ellis Williams when the government axed Labour’s school-building programme last year. Now Wandsworth Council argues that the only way to fund necessary refurbishments is to sell off 56% of the site to a housebuilder. It has already been marketing the site. The deadline for offers is May 4, some three weeks before the public consultation ends. It is applying to ministers for special consent to demolish a listed building and to sell off playing fields. Plans drawn up by Hawkins Brown and LendLease involve demolition of the listed gym and technology block as well as part of the listed playground. 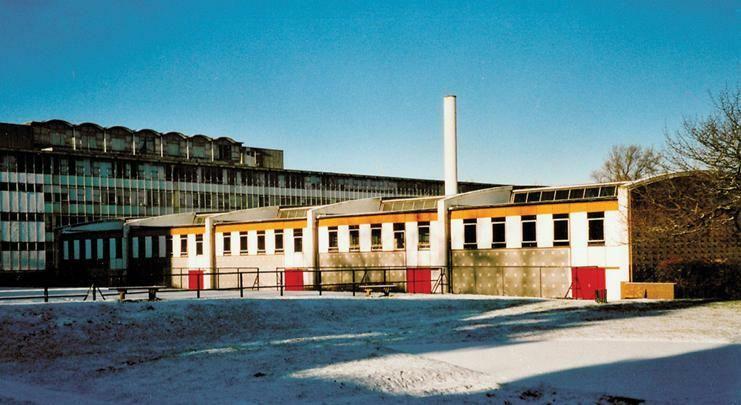 Elliott, built in the 1950s, was described as “perhaps the finest of the large comprehensive schools built by the London County Council architects” by Elain Harwood of English Heritage. It was ascribed to GA Trevett but Bancroft also worked on the school. His most famous building, Pimlico School, was demolished in 2008, three years before his death.